This is the second article in my series on using the SAP Fiori Launchpad with SAP Solution Manager. If you have not done so, you may wish to read my introductory article on this topic. SAP has adjusted the tile in a support package but you have customizing in place which still preserves the tile data from a previous support package. SAP has adjusted the URL of an application, but the tile in your system may still link to the outdated URL. Reset your customizing, returning the tile configuration back to the SAP standard. Correct the URL in the tile using launchpad customizing. I describe each solution below. This is an easy option which you should at least check if you ever encounter issues with tiles in your Fiori Launchpad. Using this option will delete any customizing which you have made to the respective tile catalog or group. Launch the client specific Fiori Launchpad Designer (transaction /UI2/FLPD_CUST or IMG activity “SAP Fiori Launchpad Designer (Current Client)”. Select the tile catalog or group where you are encountering the errors. Within the tile catalog, select the red warning/outdated link in the top-right corner. Warning: this will delete any customizing which you or your colleagues have made in the tile catalog. Ensure that you will not lose any important data. After you follow this procedure, the system will reset your tile catalog to reflect the same state as of that in the cross-client configuration. Before you test the adjusted customizing in the launchpad, ensure you empty both browser and server caches. This option lets you redefine the tiles and links delivered by SAP or those in your own catalogs. This can be useful if you want to quickly customize tiles in a minor manor, or to make small corrections on the fly. For example, it could be possible that SAP changes a dashboard ID without making the corresponding adjustment to the dashboard’s tile (although we try to avoid such situations, sometimes things slip through our tests). Or – this is not an error – you may wish to add or change a parameter to an SAP delivered tile. You could do this in order to access your site-specific content, such as calling your own CRM business role instead of the business role delivered by SAP. 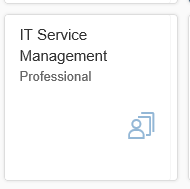 Let’s take the second example and adjust the tile linking to the Solution Manager IT Service Management business role in the CRM UI (SOLMANPRO) and have the tile link instead to your own customized business role (ZSOLMANPRO). The procedure to adjust a dashboard ID is similar – but different. Launch the client specific Fiori Launchpad Designer as above (/UI2/FLPD_CUST). Save and transport your work. As always, remember to delete browser and server-side caches before you test. If you want to enter a new dashboard ID or similar, you will need the correct ID. If necessary contact SAP Support if you cannot find this information on your own. Fiori apps and Web Dynpro applications use semantic navigation instead of URLs. In such cases, you will have to note the semantic object and action and find the corresponding target mapping in order to make any adjustments. If SAP delivers any adjustments to the tile catalog which you have customized, you will either have to reset – and potentially redo – any customizing you made, or you will have to manually adjust the tiles by comparing the cross-client configuration with your client-specific customizing.